Gaston has hit the jackpot. 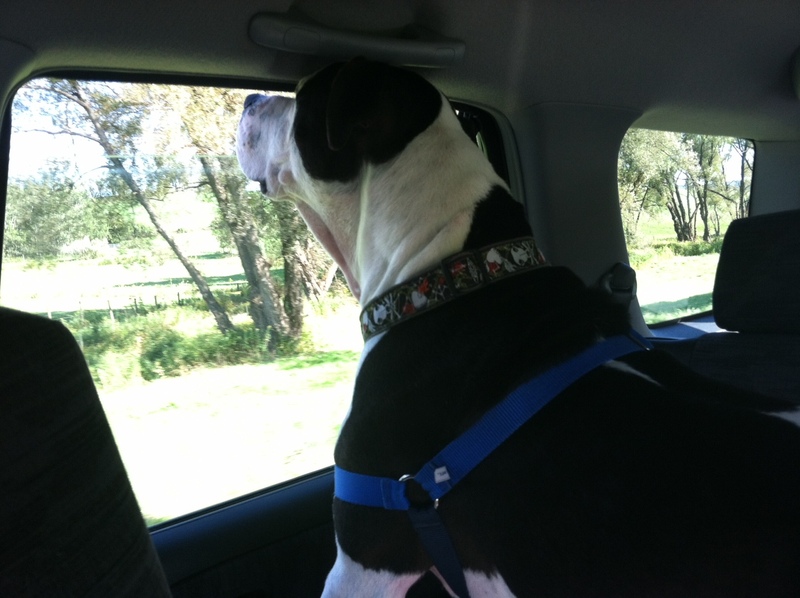 This handsome guy was my passenger on our road trip up to Animal Farm Foundation (AFF) last Monday. 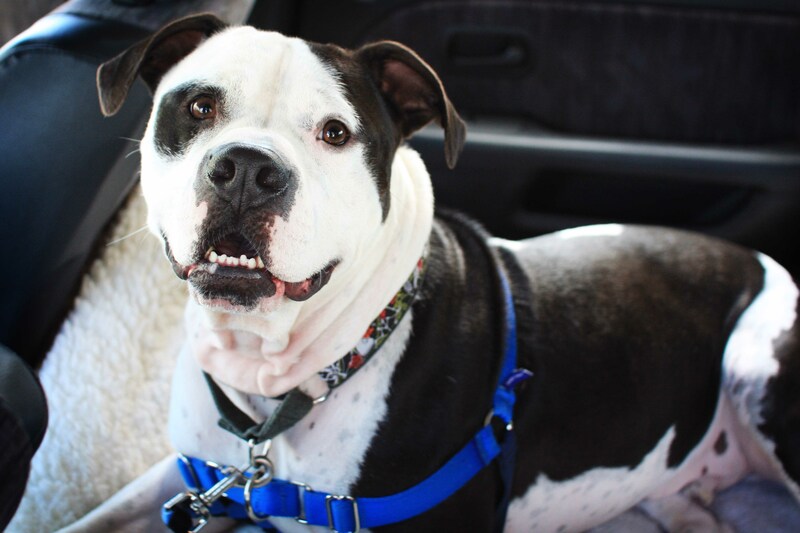 Gaston busted out of the shelter after thirteen long months and made his way into the AFF adoption program! Gaston was a long time resident of the Animal Welfare League of Arlington. As you can imagine, he became part of the family there. They outfitted him with special harnesses and collars that wouldn’t irritate his skin, they made sure he had plenty of great toys to chew on, and they gave him special food to help manage his allergies. He loved all the staff, and they loved him. Everyone wondered why he wasn’t getting scooped up. 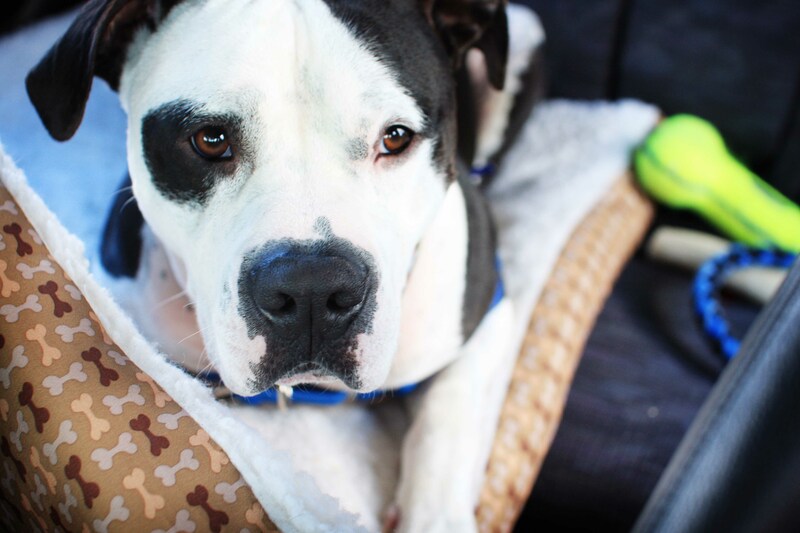 He’s a bit dog reactive, but they’d seen worse – so after over a year, where was his perfect family? That is when things came together and Gaston found himself eligible to transfer into the AFF program. Even though the AWLA staff all loved him very much and were sad to see him go, they knew new things were awaiting him. 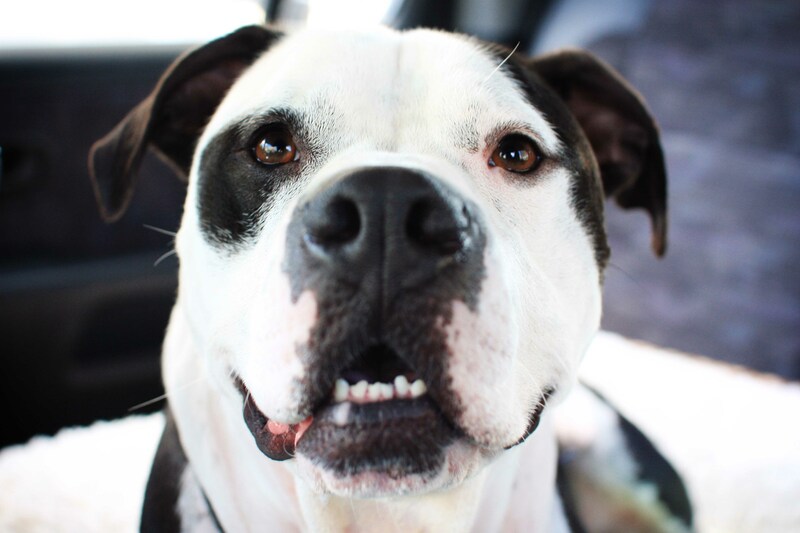 At AFF he will get specialized attention to help with his reactivity and inevitably find him the perfect home. In the mean time, he will be able to enjoy the acres of open land AFF has to offer (more about that later). Having a traveling buddy for the six hour journey was great. He was a very similar traveler to the way I act on long car rides: he cat napped, he gnawed on his antler, he snoozed hard, he looked out the window. We had a good time. Hopefully now Gaston is quick on his way to meeting the perfect forever home. Any dog that finds themselves in the hands of the folks at AFF is a lucky dog. Check back tomorrow to learn more about my week there! 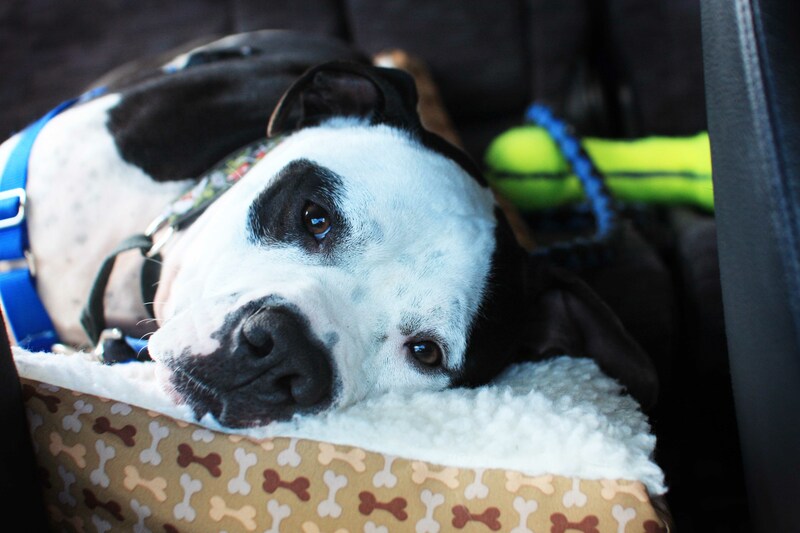 This entry was posted in Dog talk, Photography, Rescue/Humane Society, Uncategorized and tagged Animal Farm Foundation, Animal Welfare League of Arlington, AWLA, Gaston, New York, road trip, shelter dog, travel. Bookmark the permalink. Oh, I just love that sweet face of his. So nice you had a traveler with you to keep you company! He sound’s like he was just perfect on your car ride. I certainly hope someone adopt’s Gaston real soon…he’s just adorable! Love all these pic’s of him…what a sweetheart! So are you Juliana!! xoxo…have a great day! He kind of reminds of Otis with his markings. Sounds like you had a very good time. Hopefully this handsome guy finds his forever home. Wish I could take him… He reminds me of my Marley…. Thanks for the great post! Gaston is SO handsome! And it sounds like his personality is just as dashing. Here’s to hoping he finds a wonderful home, and makes lots of progress at AFF in the meantime. Can’t wait to hear about your adventures in tomorrow’s post! Yay Gaston!! That’s so great that he’s going to AFF. I can’t wait to hear more about your trip!